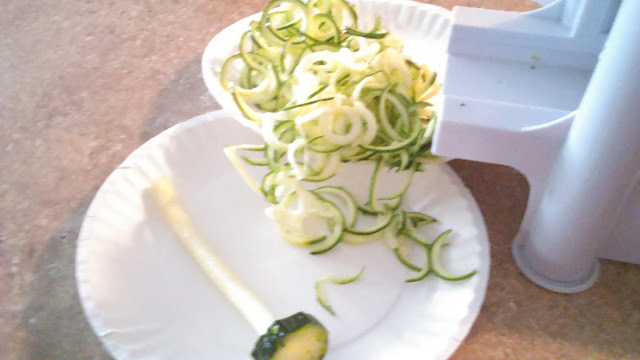 Okay, since I am currently trying to incorporate eating at least two raw veggie/fruit meals a day, I read somewhere that owning a spiralizer is a necessity . Since I was offered the opportunity to try one out I said yes. I've been using this now several times a week. 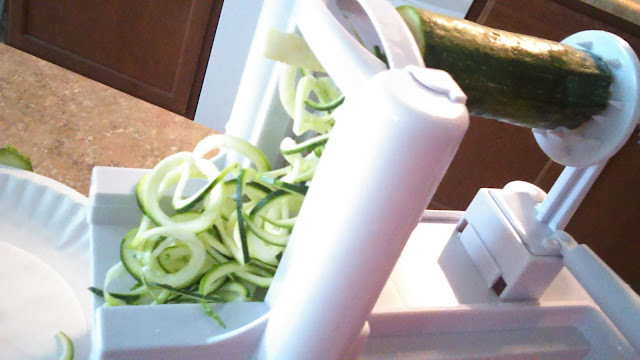 I've used it to make zucchini noodles , carrot chips , apple chips , sweet potato fries , and more. Pros: -The base has suction cup feet that stick to the counter to keep the product steady while you're using it. -It's very simple to learn how to use. 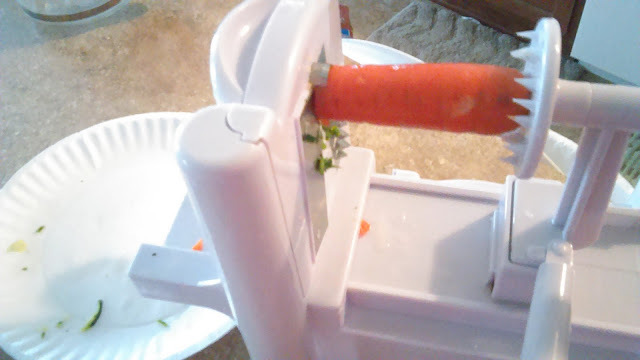 -It works well for so many different fruits and veggies. -There are three different blade options. -The entire product is easy to clean and dishwasher safe. This is such a cool product to own. Yes, there are some tiny cons but this is another product where there are simply more benefits and good things about it than bad. You can purchase your own right here.